Timberleaf Trailers are made in Denver, right at the base of the marvelous Rocky Mountains. 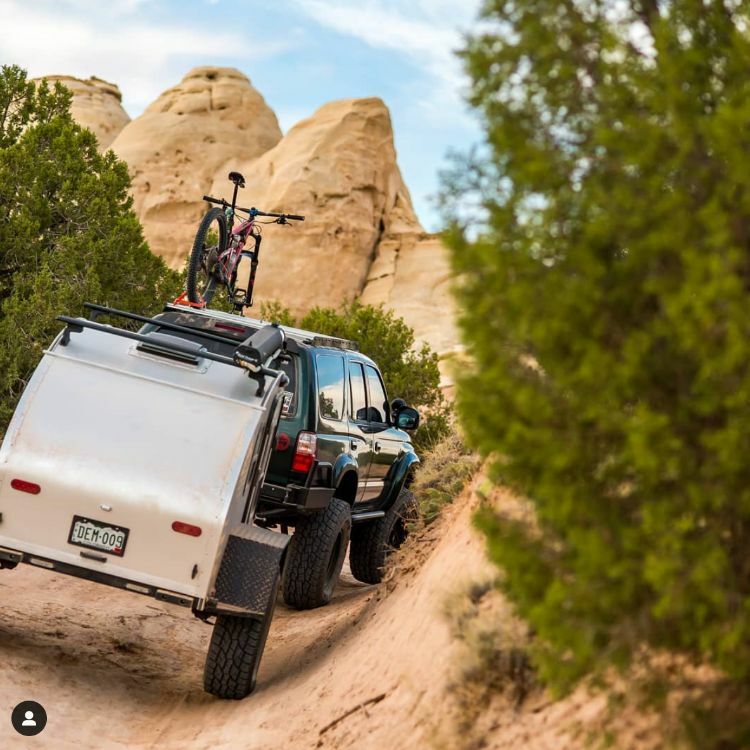 It makes sense – these small, lightweight, compact trailers are just right for adventures in the adjacent high peaks, and their durability makes them ready for anything. 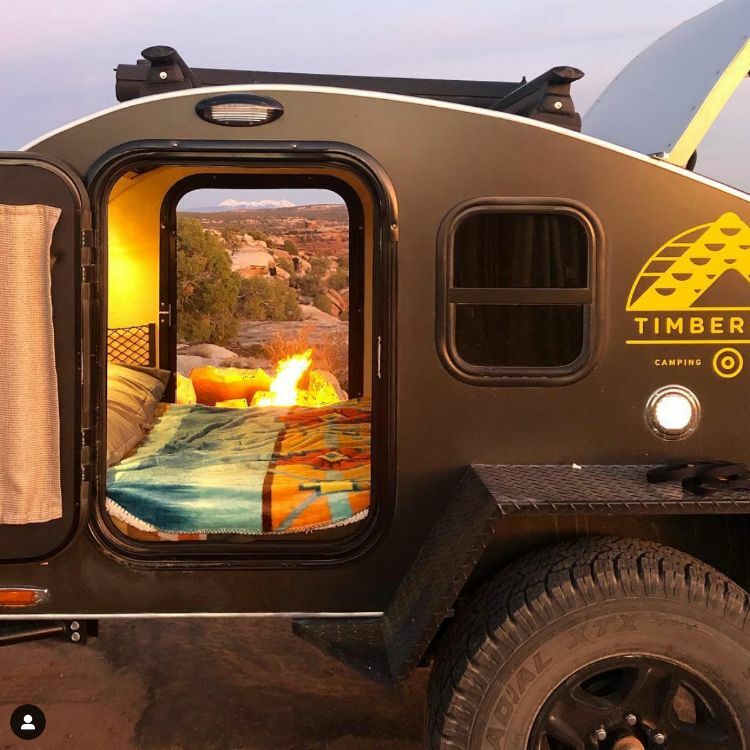 Their insulated aluminum exteriors help keep campers warm in colder months, and the wide and numerous windows provide airflow when it's hot. 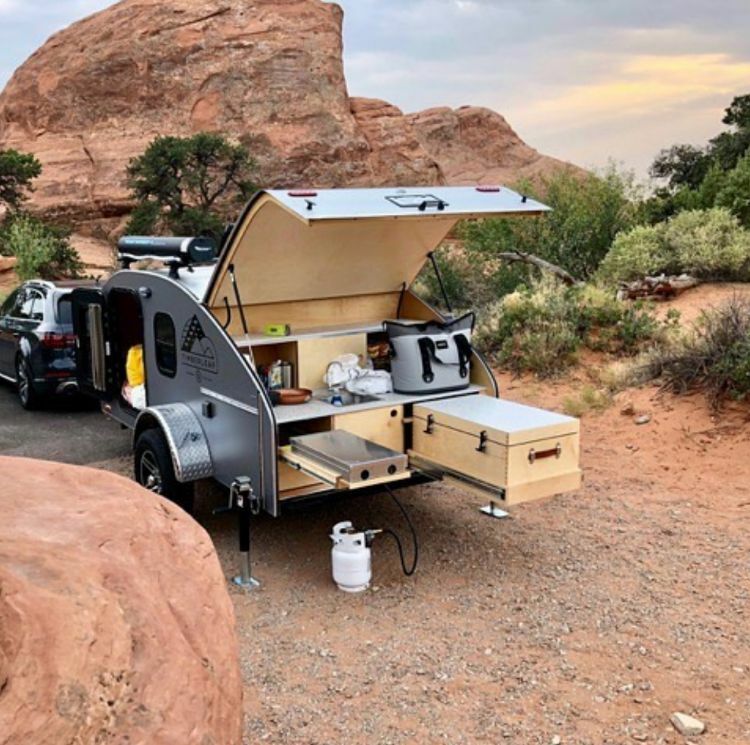 The built-in galley allows travelers to make meals in camp or on the go, and Timberleaf Trailers' durable tires keep everything balanced and safe when venturing off the beaten path. Each Timberleaf Trailer is made from scratch in the company's workshop. They come standard with a wide variety of wonderful features, but the company is also more than happy to customize to any customer's specific specifications. 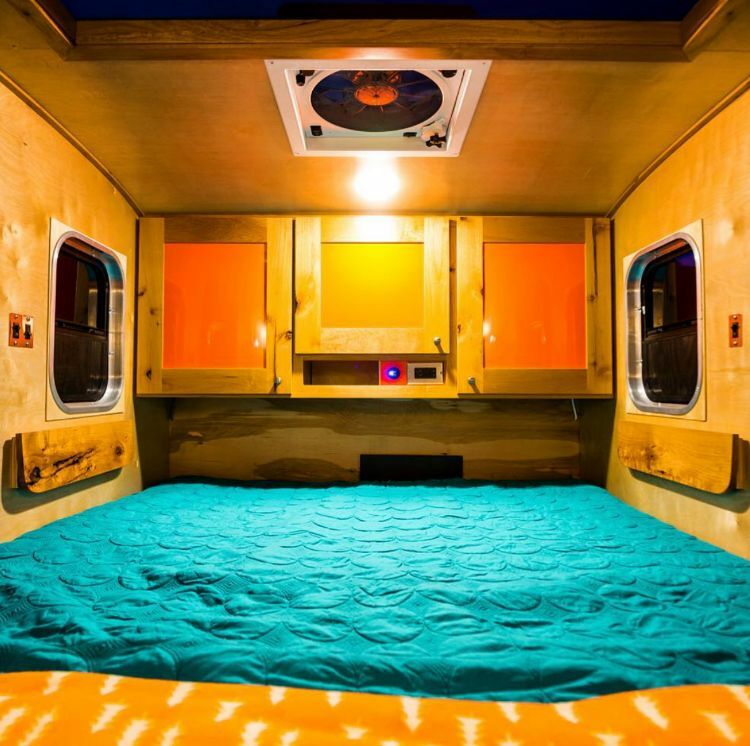 Also, there's a color for every taste – these trailers come in 1 shades! No matter what you choose to do with your Timberleaf Trailer, you're going to have a good time. 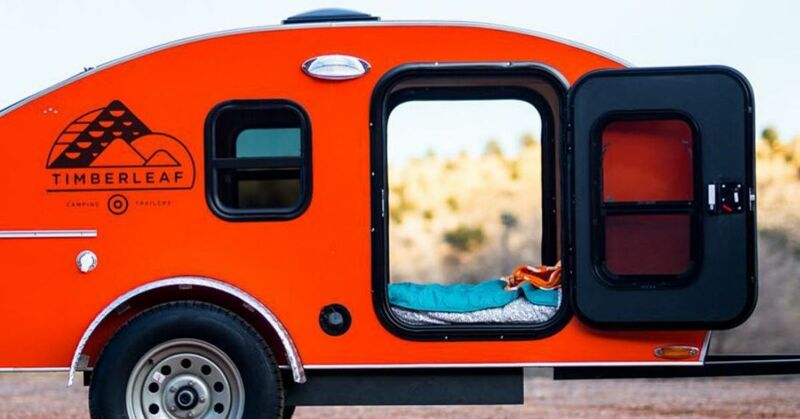 These trailers are ready for anything, but are you? Check one out to see all of what these little campers have to offer. First, its tires are broad and sturdy. They are just as comfortable and functional on the highway as they are on a dirt or gravel road. And if worst comes to worst and one blows out, a spare is included – standard. This little trailer can really take a beating, and it is not delicate at all. Two models available. The Classic weighs in at 1,500 pounds dry, and its smaller cousin, the Pika, is only 950 pounds, allowing it to be easily towed by most passenger vehicles. Doors on both sides of these trailers make it easy to get in and out without having to climb over anybody or anything. Further, opening the doors on both sides can encourage a steady cross breeze while you look out upon the beautiful surroundings. These trailers may be small, but they are certainly inviting. As you look inside this one, it seems as if it's almost beckoning you to come in. 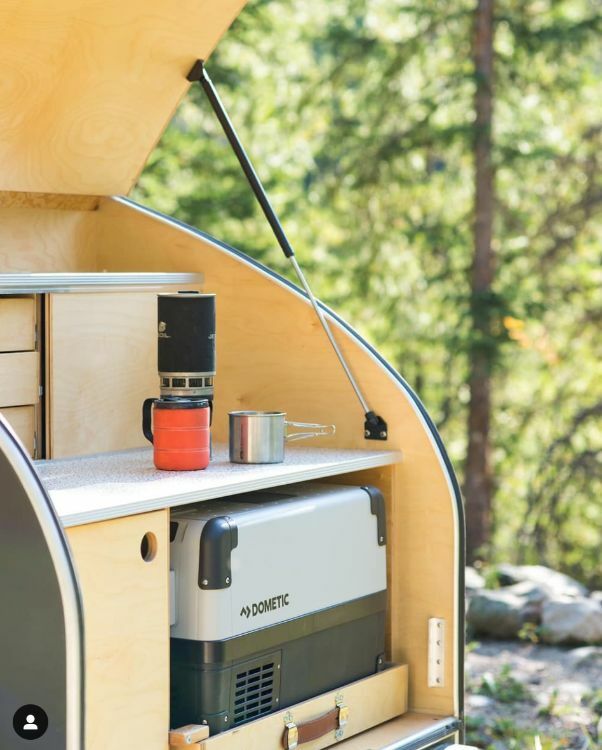 The cabinets provide storage, and the Baltic Birch plywood interior reminds you that you are in a camper in the great outdoors. The 44-by-26-inch skylight allows you to look at the stars above and lets in plenty of light during the daytime. At night, three LED lights will guide your way as you get lost in a book. It's also good for furry, four-legged friends. 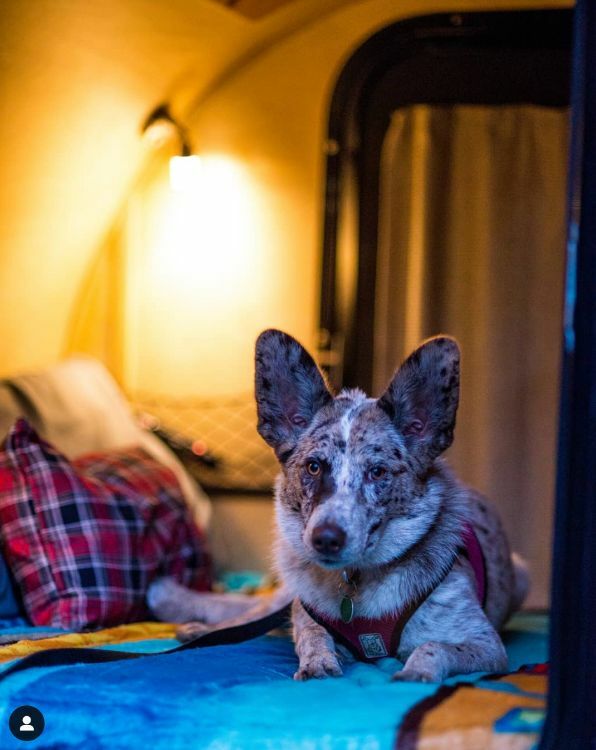 Your pup will enjoy the opportunity to relax in comfort and take in the great scenery between hiking adventures, ball fetching and treats. Look at this beautiful little kitchen. Baltic Birch also shines here and spotlights the exceptional handiwork of the carpenters that build these trailers. 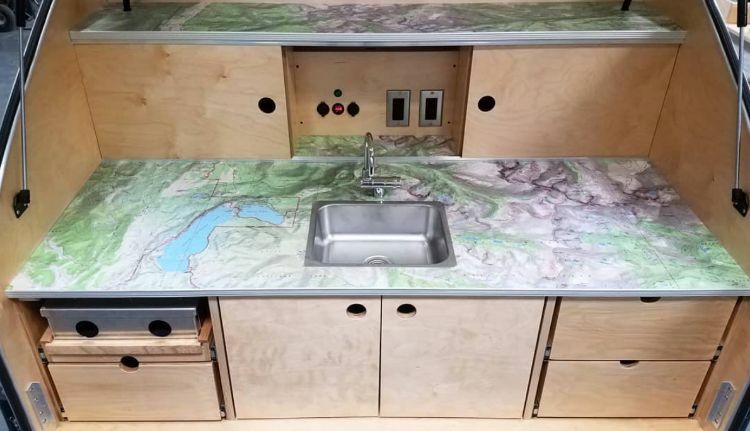 The sink provides cold water and is fed from a hidden 12-gallon water tank. The storage and counter space here is amazing. Just open it up, and start preparing your meal. This cooler comes standard and pulls out for easy access. It's removable too, allowing you to take it with you on a picnic if you feel like venturing out. Each Timberleaf trailer offers nearly 20 square feet of counterspace. That's plenty of room to organize yourself and create a culinary masterpiece to be enjoyed by you and your companion. This galley was customized for a client; Timberleaf substituted more drawers for the cooler – space that could also be used for a secondary battery. When the kitchen is open and extended, you can really see how much space exists for food and equipment. The stove is at just the right height for cooking and is in a place that still leaves the sink and storage areas fully accessible. 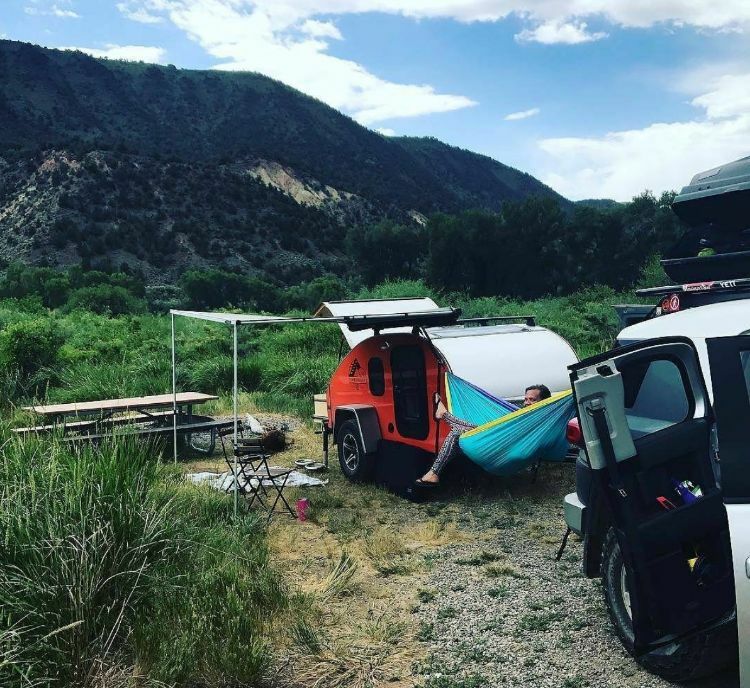 These optional and attachable Rhino Rack awnings can really increase space and improve an already fantastic experience. They provide shade for both cooking and eating, as well as for hanging out. Set up some chairs and maybe even a table, and the Timberleaf Trailer becomes a still more perfect home away from home. 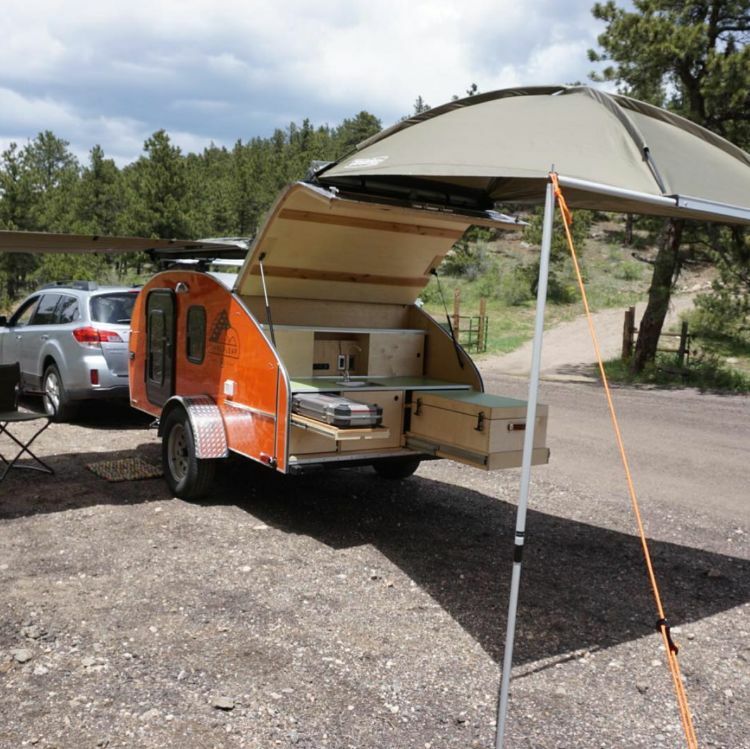 These tiny trailers are just what you need for a quick and easy camping trip. They are comfortable, durable, stylish and fun. Make a meal, take a rest, build a fire and enjoy the great outdoors. 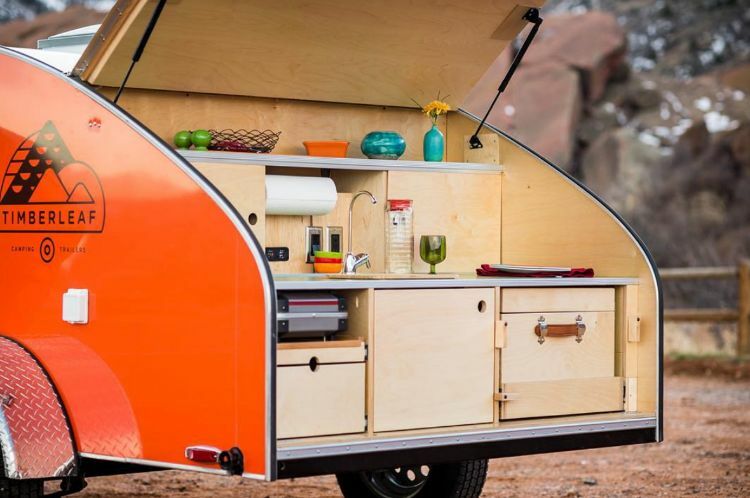 Your little home on wheels is ready to go. Visit timberleaftrailers.com to find out more. This 1978 Jayco trailer went from drab to fab with just a few renovations, a small investment and a little elbow grease.